I usually work out with the 11:45 am crew, but as Coach Emily is sick with the flu, I led that session. I instead worked out with both the 4 and 5:15 pm crews, both led by Coach Liz. In teams of 2 or 3, with partners rotating through the activities/reps in the same order, complete the following Tabatas, resting 1:10 between Tabatas. I worked out solo at 4, and completed 2-min Tabatas with minute rest between. It was challenging enough. 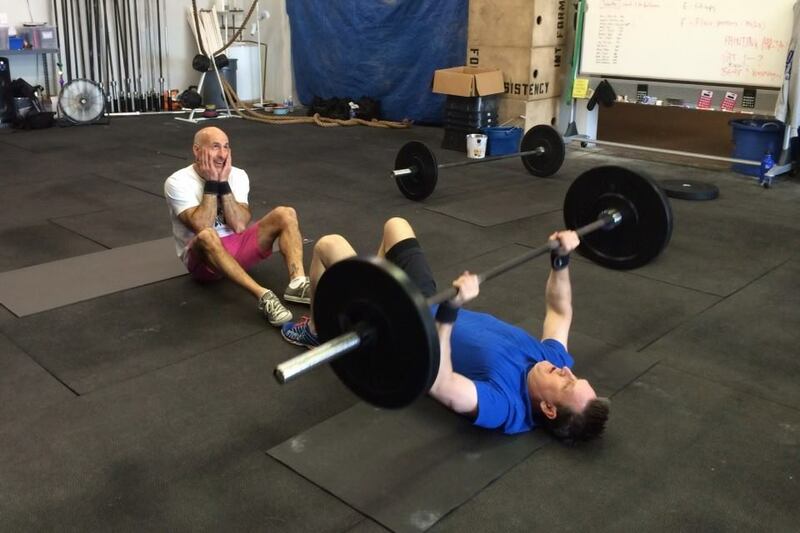 Ending with floor press was grueling, and the weight felt exponentially heavier each and every round. I was most pleased with toes to bar, as I haven’t completed in quite some time yet the technique was good and the movement felt natural. As Jeff needed a partner, he and I worked out together during the 5:15 pm session, and I haven’t had this much fun in a very long time! Jeff and I demonstrated proper form. I made funny faces. We then completed Tabata as described above, beginning with slam balls. We kept a running count of reps.
Uhm, yeah, so I usually completed more reps of everything, and that should be the case as I coach this sh!t. 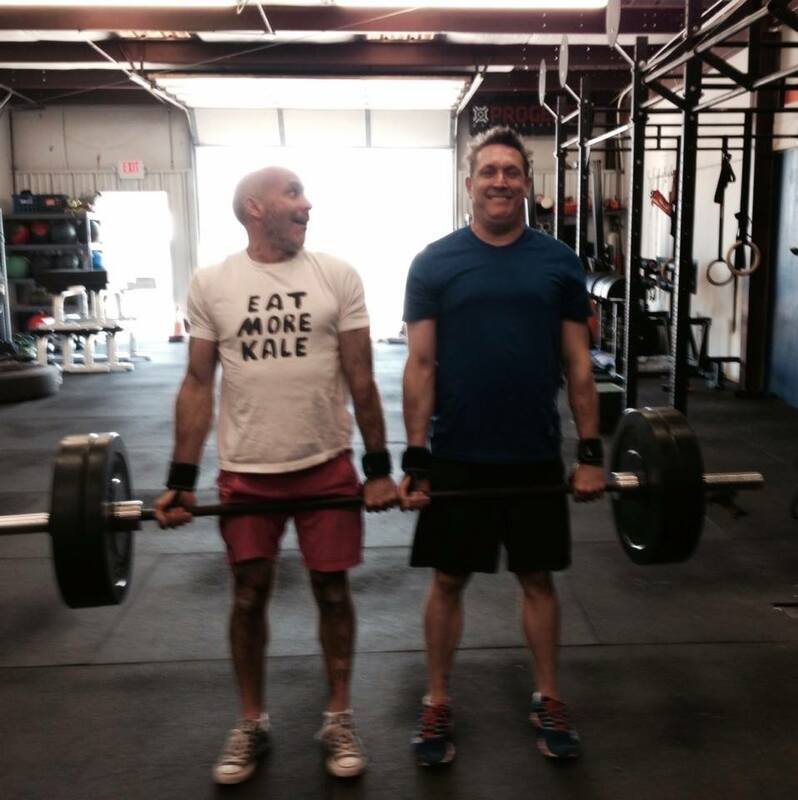 I think, though, that Jeff may have completed more power cleans. I do know for that I completed more reps of every activity than I did when I completed solo. Uhm, so I suppose my concern with pacing is unfounded.